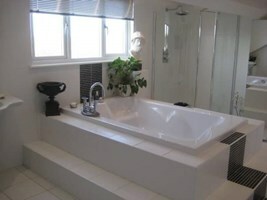 Creative Ceramics - Tiler - Tiling based in Brixham, Devon. My names Stuart and have been in the wall & floor tiling industry both domestic and commercial for 25yrs. Creative ceramics has been in business for 8 years. I am a sole trader who in them 25yrs has installed pretty much any wall & floor tile manufactured. From mosaics to large natural stone. All this gives me the experience of knowing the exact installation specs for certain materials. We pride ourselves on customer satisfaction and the ability to aid the customer achieve exactly the finished product they have envisaged. We install all sub-strates before tiling works if required. Electric underfloor heating, anti-cracking matting, tanking systems, wet room trays. We cover the Torbay area but regulary get called upon to work further afield. Wether its a kitchen splashback to a new wetroom, natural stone project we have it all covered. We have installed at Headland Hotel & Spa Torquay for there health spa.